We commonly dream of summer destinations with sand and sea, but have you ever thought about trading them in for mountains and lakes? The sunshine is just as likely to shine and the skies are just as blue, but you’ll have an entirely different kind of holiday in store. 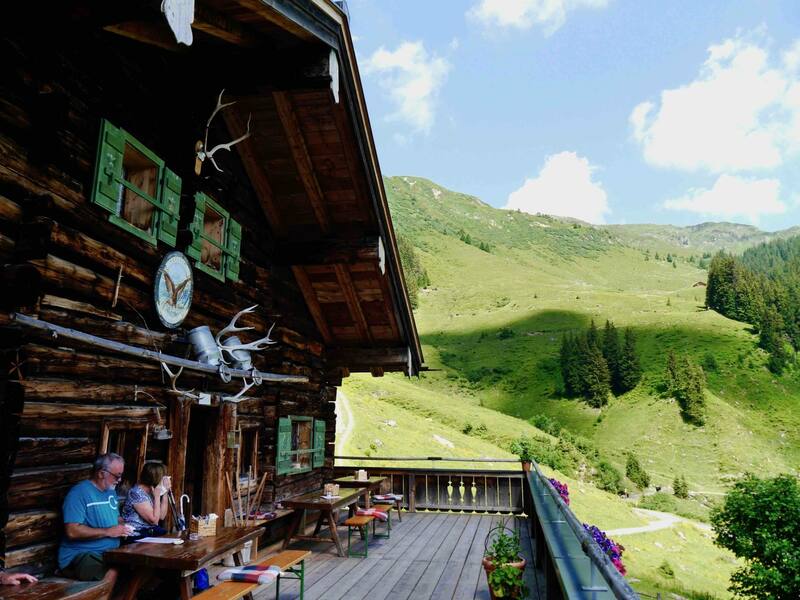 Inspired by my recent eco-friendly spa break in Austria’s Saalbach Hinterglem, I’m sharing 9 reasons to visit the Austrian Alps in summer. The winter ski season will always be Austria’s busiest tourism period, but the people who venture to the Austrian Alps in summer can reap a very different set of rewards. June to September is typically the best time to visit the Austrian Alps in Summer, when the temperatures reach around 25 degrees on average. 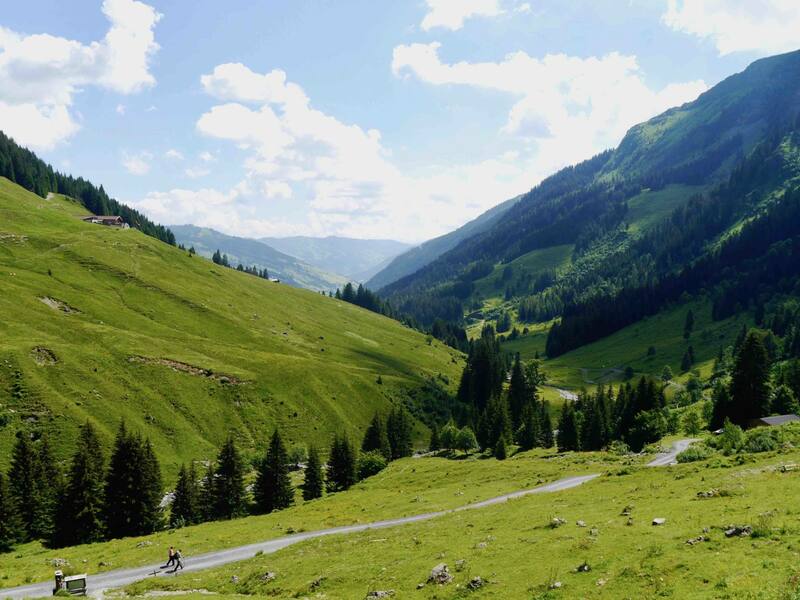 There’s minimal pollution in the Austrian Alps so you can also expect crisp fresh air and clear blue skies. 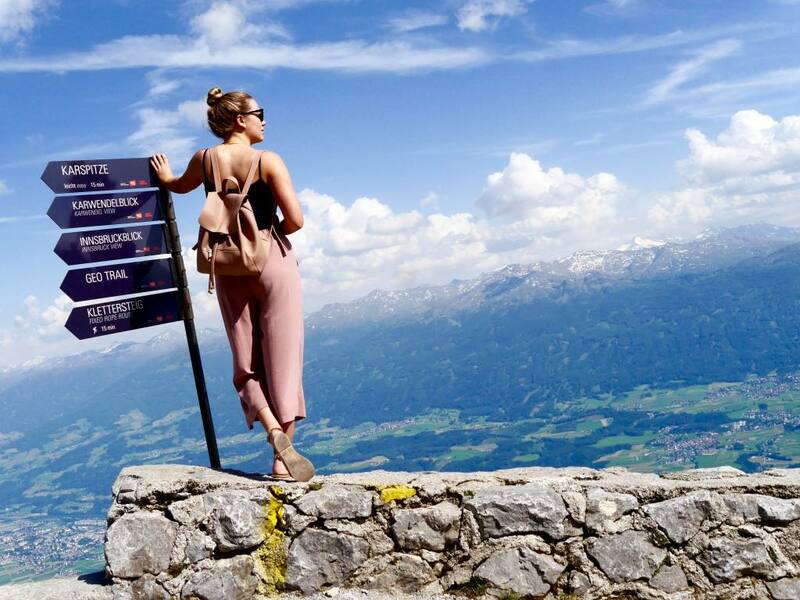 If you’re planning to get really active, the best time to visit may even be in the April to May and September to October shoulder seasons, when accommodation is cheaper you’ll feel like you have you have the mountains all to yourself (cue Fräulein Maria). Remember Maria running around those rolling hills from the Sound of Music? Well it’s a pretty accurate representation of the spectacular views you can expect to see in the Austrian Alps. 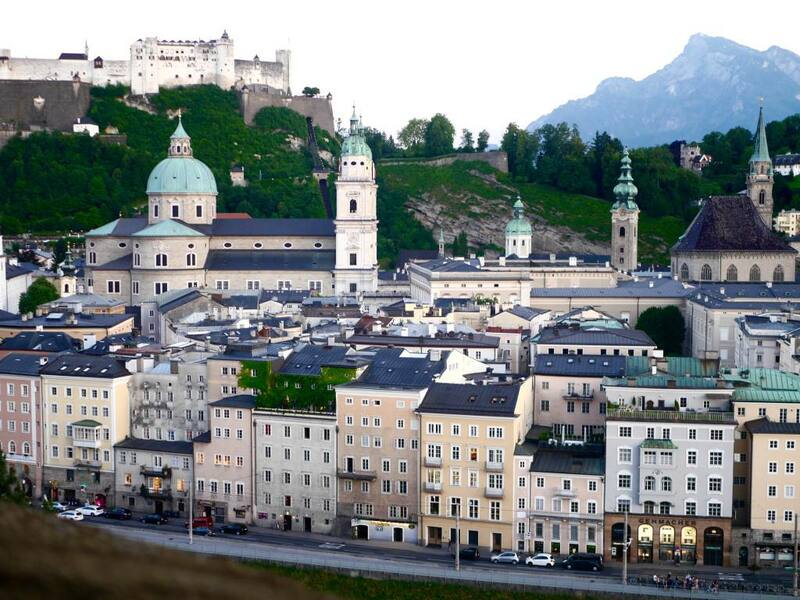 The Sound of Music was filmed in and around Salzburg, so many of the filming locations can still be visited today. In the summer months, skiing makes way for a diverse array of outdoor activities including walking and hiking, cycling, mountain biking, horse riding, paragliding, mountain climbing and even zip lining. The Austrian Alps in Summer are an incredible place to switch off from every day life and enjoy an active or adrenaline-filled holiday. Many of Austria’s lakes turn a rich turquoise colour in the Summer and there are designated swimming areas in almost half of them. Fun on the lake also opens up even more outdoor activities including waterskiing, wake boarding and SUP boarding. 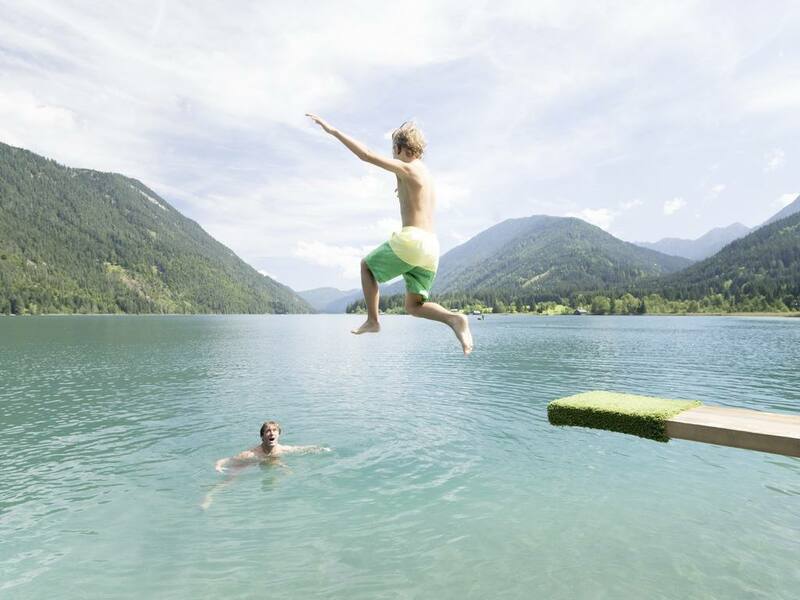 If you think the heat will get to much, book accommodation near a popular lake such as Zell am See and incorporate a lake swim into your daily holiday schedule. The Hugo has to be one of my favourite things about Austira, but sadly I never really see it on menus anywhere other than Austria and Germany. It’s a refreshing cocktail of gin, prosecco, elderflower, mint, lime and soda water and you’ll find it on nearly all restaurant and bar menus. So refreshing! The Austrian Alps cover 62% of Austria’s land area so chances are you won’t be too far from a major city or town. 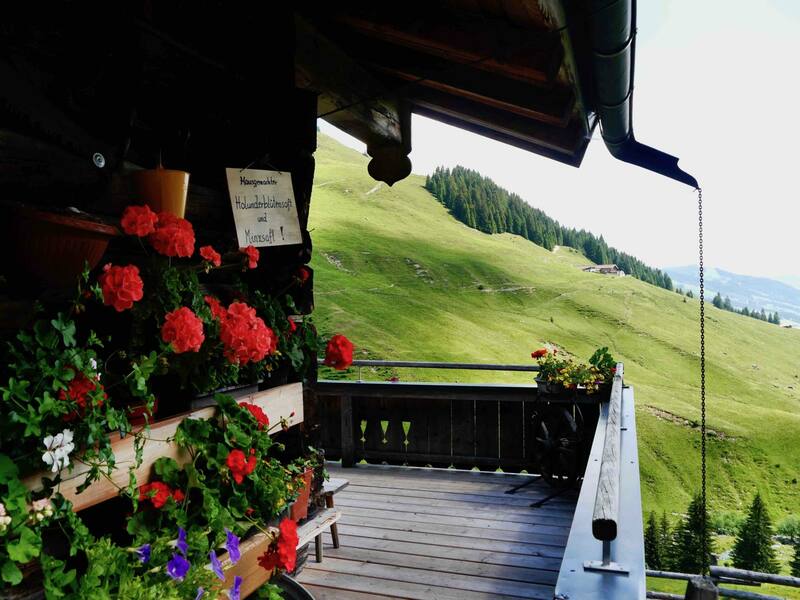 On my most recent trip I stayed in Saalbach Hinterglem, which is a 1 hour and 30 minute drive from Salzburg. The town of Innsbruck is situated in the heart of the Alps, which means you can easily combine town and country on one trip. In general, Austria is very family friendly and little ones are very well-catered for when it comes to hiking and outdoor activities. 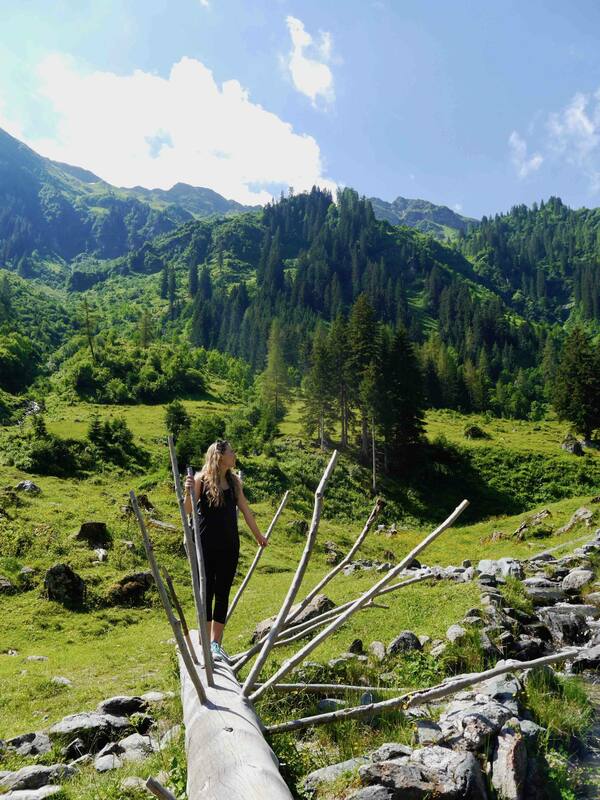 Many of the resorts and towns in the Austrian Alps have family friendly and even buggy-friendly hiking trails, so the whole family can enjoy the great outdoors. There are plenty of accommodation options to choose from in summer. If you’re on a budget or looking for a truly outdoors experience, there are plenty of campsites or caravan parks to choose from. For something mid-way, check in to a self-catering alpine lodge or for all the home comforts there are plenty of hotels ranging from affordable to luxury. 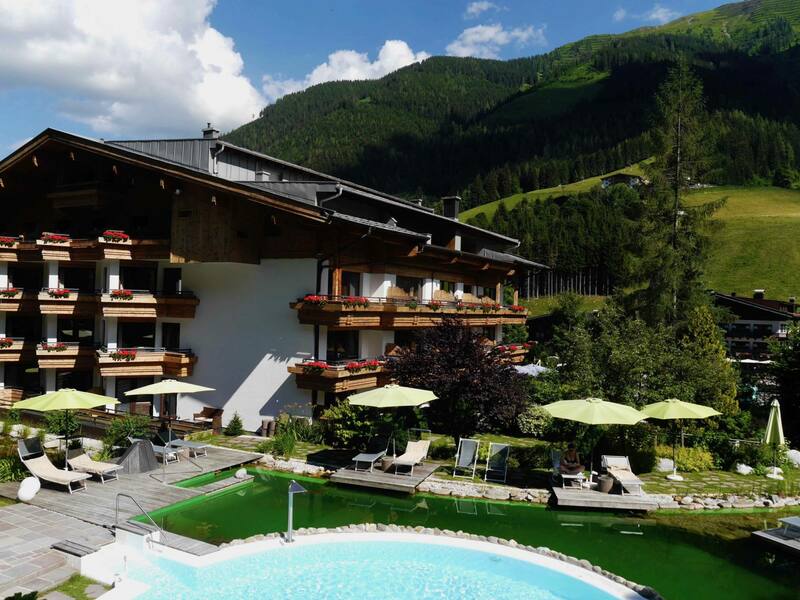 The Gartenhotel Theresia ****SUPERIOR is a 4-star boutique hotel located in Saalbach Hinterglemm. The hotel is eco-friendly and has a focus on sustainability and organic, locally sourced foods in their restaurant. They also boast an excellent spa with both indoor and outdoor pools, which is a total oasis of relaxation in the heart of the Austrian Alps. Be sure to read my full review of Gartenhotel Theresia. 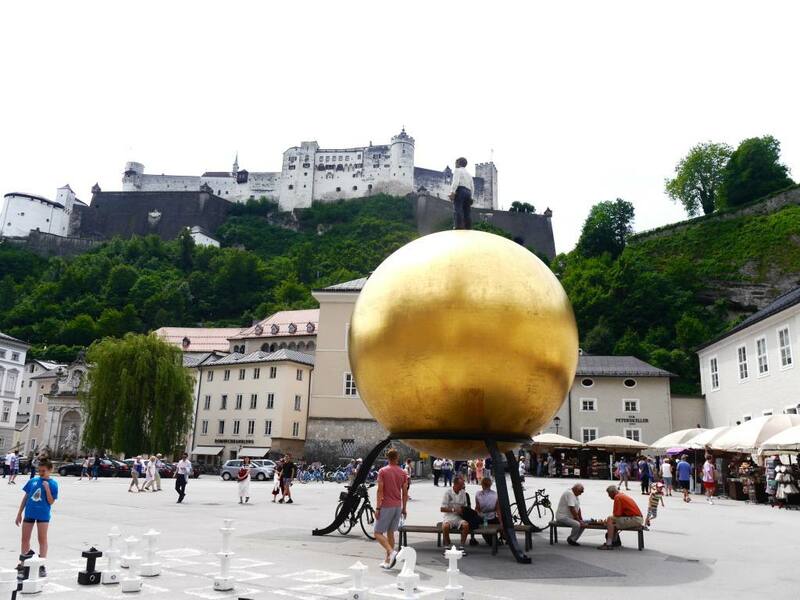 This blog post has been created in collaboration with Visit Austria. All words, views and photos are my own. 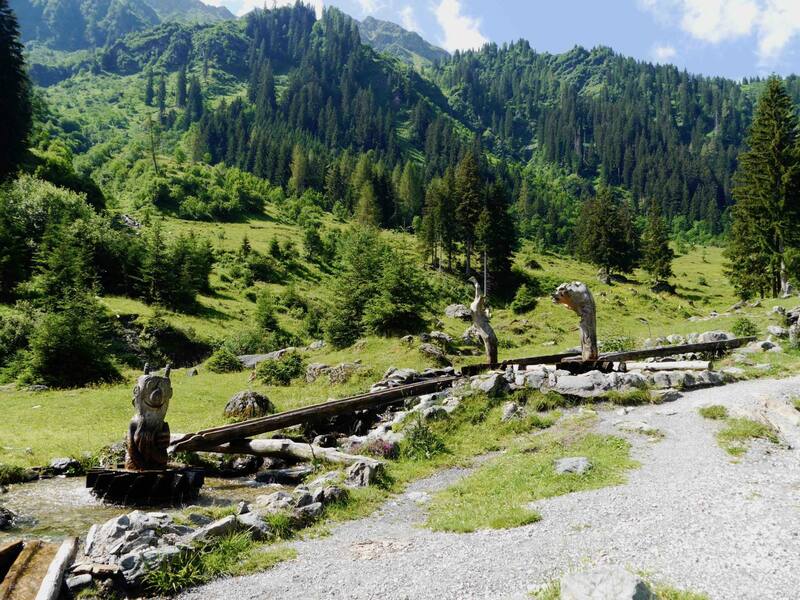 I am absolutely in love with the idea of the Austrian Alps in summer! I’m yet to go but you’ve solidified that I need to! Plus the Hugo looks so tasty!! Thanks Lia! It really is such a great place to visit in the summer, those delicious Hugos are also an added bonus! Imagine sipping them high in the mountains after a long walk. Nothing better! This really reminds me of the Dolomites. Amazing during the summer but I could only imagine how magical it is in the winter. Ahh does it really? I’ve heard the Dolomites are stunning but I’ve never been. I think a lot of The Alps probably look similar regardless of the country. I love how the mountains can look so different, all green in summer and all white in winter. 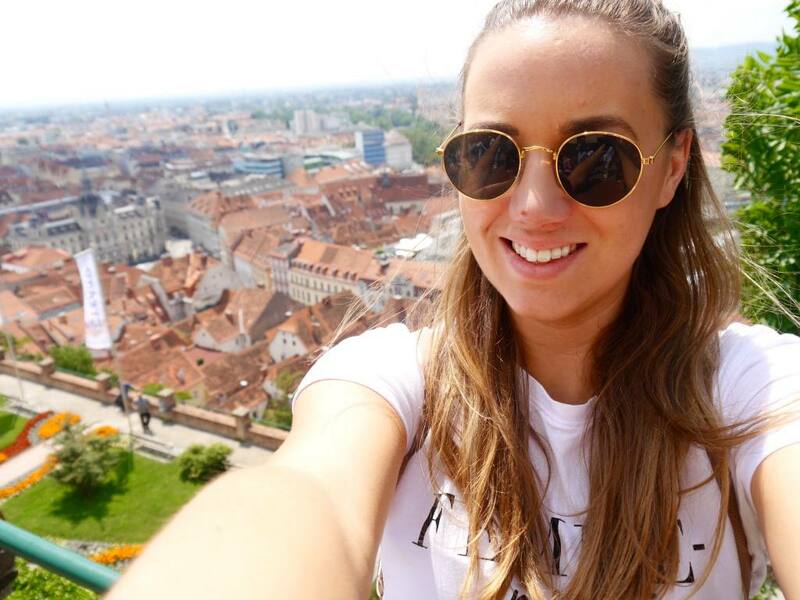 The views look absolutely stunning! What an absolutely gorgeous destination! !